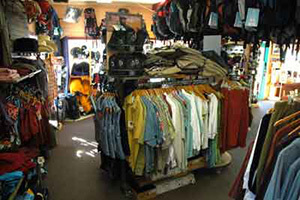 Willow Canyon will outfit you with cool gear, hot organic coffee, dreamy books and creamy chocolate for your adventures! At our core, we’re outdoor. 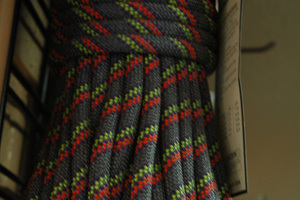 We have a range of gear, from carabiners to compression drybags to tents, but our specialty is travel by foot. We carry in the shop what we like carry into the canyons, up the cliffs, down the rivers. We offer what the landscape calls for without a lot of fluff—it’s a small shop, after all, and we treasure simplicity. You’ll find name brands like Black Diamond® and Osprey® alongside vetted products from small companies that may be less familiar. We appreciate innovation, and the market evolves! We carried Big Agnes® before she was big! We look far and wide to find the equipment best suited to the canyons of this region. We encourage you to dress for success! Yeah, we have something fun to wear for you dinner date, but we don’t stop at style or the souvenir tee shirt. With brands like Prana®, Outdoor Research®, Patagonia®, Royal Robbins®, and Horny Toad, The Willow can freshen your wardrobe for travel and an active lifestyle. We offer technical apparel to get you through your wilderness adventure. We’ll help keep you cool. Or warm. Or dry. Or wet. 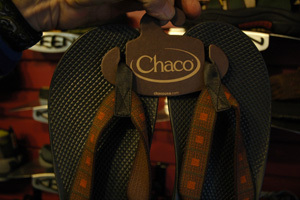 We hiked the canyons in Chacos® back when they were still made in Paonia, Colorado. It’s a much broader field now, with lots of options. And that’s good, because hiking the Narrows calls for a different set of shoes than tromping down the Bill Hall Trail. We’ll help you find your fit. Ed Abbey is our best selling author, and as he said, “Society is like a stew. If you don’t stir it up every once in a while then a layer of scum floats to the top.” The written word often serves to stir things up. Go ahead, read. 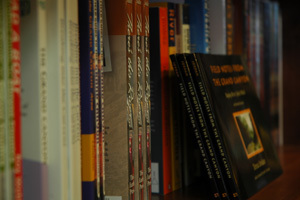 We specialize in regional titles and natural history, but offer much more! At The Willow, you can find a map, a cookbook, a collection of poems, a bestselling novel, a bound photographic essay, a history of Colorado river runners, a trail guide for the Paria, a biography of Joseph Smith, a children’s story, a yoga tutorial, a book of knots… you get the idea. Ahhh, nectar of the Gods—and brewed from organic, bird-friendly, and fair-trade beans. 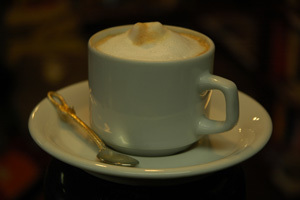 Served up hot with a dollop or on the rocks, black or with your choice of dairy, soy, or almond milk. You’ll find an assortment of teas, too. We do this right. Come, have a cup.